Are you getting married this September, October or November? 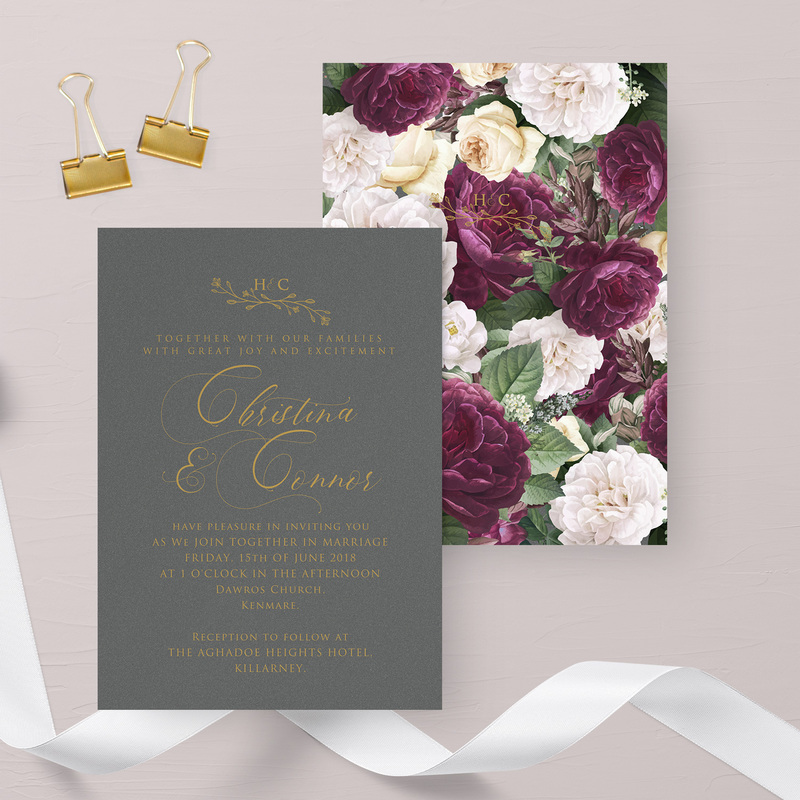 Have you seen our new autumn floral wedding invitation design? We are delighted about this new design, everything from the colours to the floral design complete the autumn feel, perfect for your big day. Adding a hint of gold gives an vibrant warming effect, a subtle yet simply royal and elegant touch. Gold leaf compliments the floral undertones superbly. With your choice of the style of floral graphics, plant species and the selected colour or type of paper, you can transform a soft and delicate Spring invitation into a full bodied Autumn invite. The invitations will be elegant, romantic, rustic or natural. They can look very summery or wintry as well. Our favourite motif, which we love on the wedding stationery and we recommend for any season, are flowers. Beautifully drawn, realistic graphics in invitation design add in style and give them a romantic character. Additionally the floral stationery on the wedding tables beautifully underlines the decor of the wedding venue. We have designed several new products for this year’s wedding season, but the designs of invitations that were created last season are still very popular. 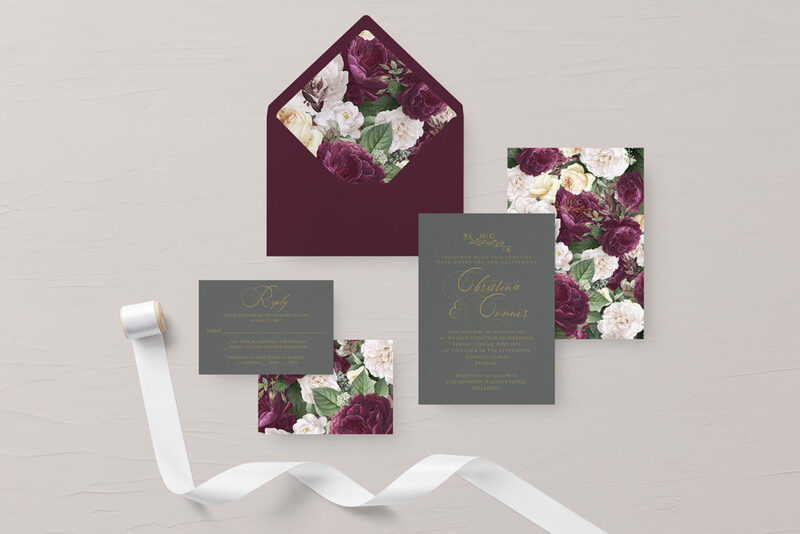 We think burgundy wedding floral wedding stationery is a perfect fit for an autumn wedding. We would love to know what you think about this design.